The lion may be the king of the jungle, but these two lovable scamps certainly hold a special place in the hearts of many Disney fans. 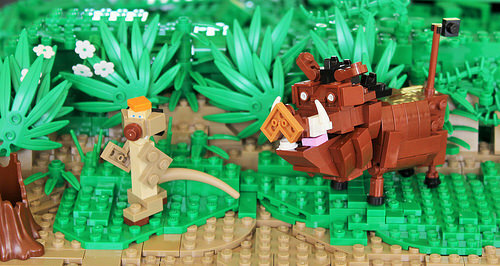 Lennart C‘s brick-built versions of Timon and Pumbaa from The Lion King are simply adorable. Working within the confines of a tiny scale, Lennart nicely captured these characters’ body proportions and colors, making them instantly recognizable.